Can Snoopy's charm help his client, Woodstock, win back his bird nest from Sally Brown. 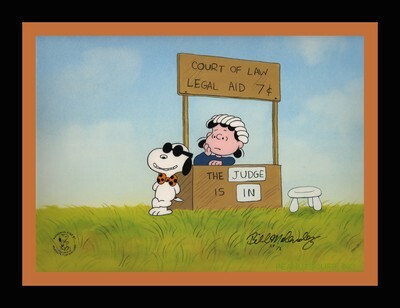 His fate is in the hands of Judge Lucille Van Pelt. But who will cover the 7¢ court fees? The limited edition is signed by animator/director Bill Melendez.